This topic contains 1 reply, has 1 voice, and was last updated by Ramy M 9 months ago. 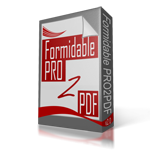 I have Formidable Pro and purchased Pro2Pdf. I would like to display a list of entries in the user’s area (I already have the User Registration add-on) in a link format where the link will take them to the pdf form they have previously completed. So many of our users complete the form many times in a year… I want to let these users view a history of their completed form with a link to download the pdf that was generated.. Anyone? I’m willing to hier help !